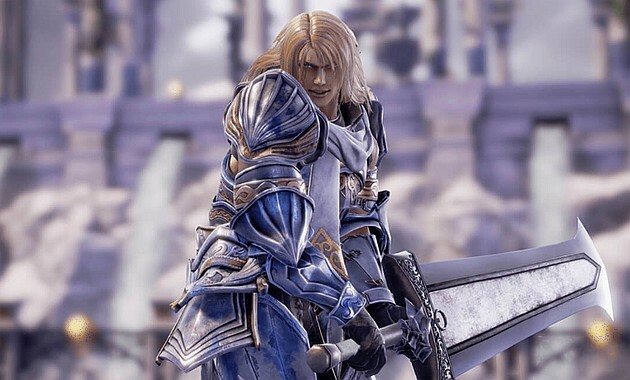 Even available for old-school coin-operated machines, Soulcalibur VI is now out for Windows PCs, as well as Xbox One and PlayStation 4 consoles. With a roster of returning fighters and newcomers, this title is set in the 16th century and aims to "uncover hidden truths" about the events of the first Soulcalibur game. Soulcalibur VI was announced during The Game Awards 2017, after being in development for three years. Now, this title that comes as a celebration of the franchise's 20th anniversary is finally available for Windows, consoles, and even for old-school arcade games. Featuring Geralt of Rivia as its special guest character, the new Soulcalibur game "represents the pinnacle of 3D weapons-based 1vs.1 fighting and will include the return of fan-favorite characters and the premiere of all-new gameplay mechanics." The action is set in the 16th century and takes the player back to the events of the original Soulcalibur game, but with a diverse lineup and various secrets waiting to be uncovered. Each character gets a storyline to uncover in Story Mode, but the game also features a Character Creator mode. In addition to the Standard Edition, the European and Japanese markets get different versions of the game. In Japan, there is a physical edition exclusive for PlayStation 4, a digital version, as well as a Digital Deluxe Edition (the digital version and the Season Pass). In Europe, there is a Collector's Edition, a Silver Collector's Edition (a silver figure instead of the colored one available in North America), and a Deluxe Edition (contains the Standard Edition and the Season Pass). The prices depend on the platform, edition, retailer, and market. In the US, for example, the Xbox One Collector's Edition goes for US$149.99 on Amazon. The Standard Edition, however, comes for the industry's standard price for AAA games nowadays — US$59.99.